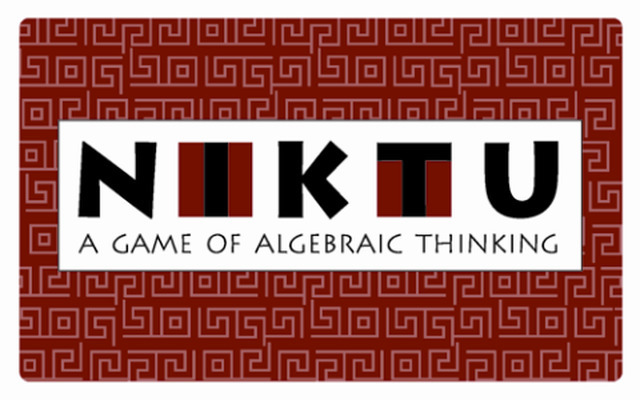 Niktu is a unique math card game that provides a review of equation solving and basic computation in a motivating game format. 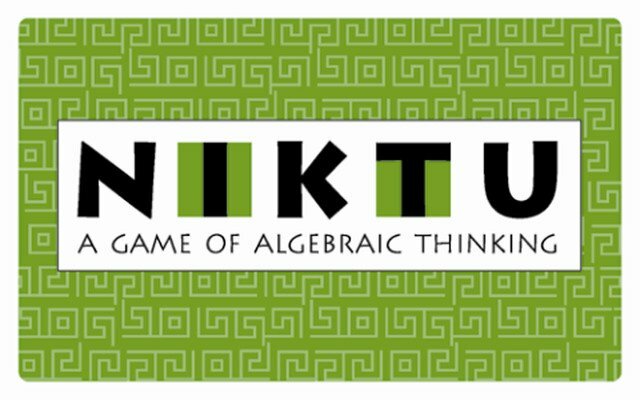 But Niktu is more than a game; the interactive nature of the card game and the grade-appropriate equations foster cooperative learning and mastery of both algebra and basic computation skills in an enjoyable and success-oriented environment! 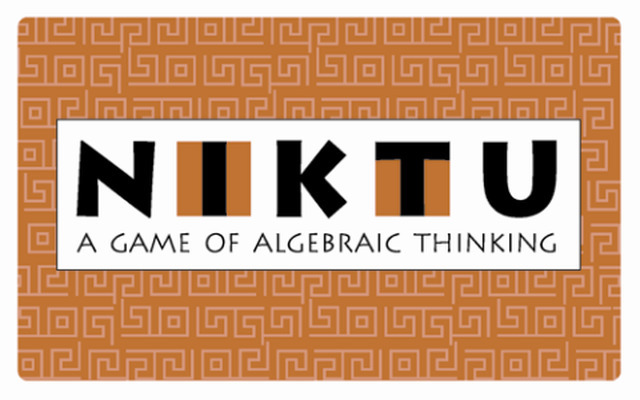 Niktu uses more than a toss of the number cube to reinforce students' algebra skills. 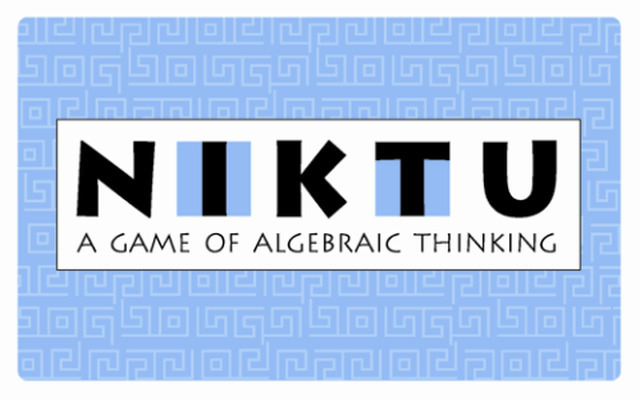 Unlike other mathematics card games, Niktu is geared specifically to algebra and equation solving. 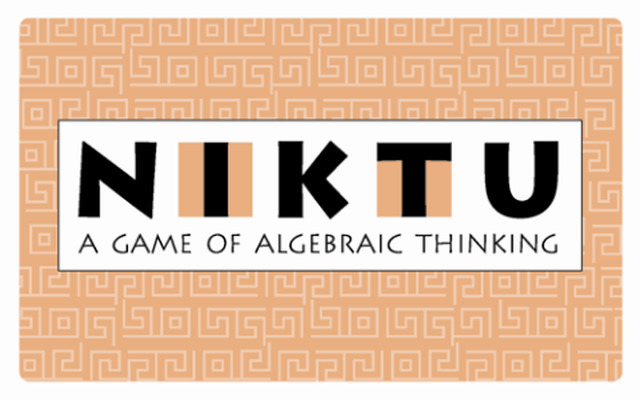 This unique format means your students not only learn important concepts, but they'll experience a boost in their confidence within the non-threatening atmosphere created by the game. Motivates students through small-group or paired playing , which fosters cooperative learning. This boxed game set is easy to use for teachers, too! The grade levels are color-coded for easy identification, and an instruction pamphlet provides fresh variations on play, allowing leveled practice for a range of student abilities. The set includes a set of equation cards, instruction booklet, number cube, and a two-minute timer.